On 13 September 2017, tobacco company Philip Morris International (PMI) announced its support for the establishment of a new entity – the Foundation for a Smoke-Free World. PMI indicated that it expects to support the Foundation by contributing approximately USD 80 million annually over the next 12 years. The UN General Assembly has recognized a “fundamental conflict of interest between the tobacco industry and public health.” (1) WHO Member States have stated that “WHO does not engage with the tobacco industry or non-State actors that work to further the interests of the tobacco industry”, (2) the Organization will therefore not engage with this new Foundation. Article 5.3 of the WHO Framework Convention on Tobacco Control (WHO FCTC) obliges Parties to act to protect public health policies from commercial and other vested interests of the tobacco industry in accordance with national law. Guidelines for implementation of Article 5.3 state clearly that governments should limit interactions with the tobacco industry and avoid partnership. These Guidelines are also explicit that Governments should not accept financial or other contributions from the tobacco industry or those working to further its interests, such as this Foundation. If PMI were truly committed to a smoke-free world, the company would support these policies. Instead, PMI opposes them. PMI engages in large scale lobbying and prolonged and expensive litigation against evidence-based tobacco control policies such as those found in the WHO FCTC and WHO’s MPOWER tobacco control, which assists in implementation of the WHO FCTC. For example, just last year PMI lost a six year investment treaty arbitration with Uruguay, in which the company spent approximately US$ 24 million to oppose large graphic health warnings and a ban on misleading packaging in a country with fewer than four million inhabitants. There are many unanswered questions about tobacco harm reduction (3), but the research needed to answer these questions should not be funded by tobacco companies. The tobacco industry and its front groups have misled the public about the risks associated with other tobacco products. This includes promoting so-called light and mild tobacco products as an alternative to quitting, while being fully aware that those products were not less harmful to health. Such misleading conduct continues today with companies, including PMI, marketing tobacco products in ways that misleadingly suggest that some tobacco products are less harmful than others. This decades-long history means that research and advocacy funded by tobacco companies and their front groups cannot be accepted at face value. When it comes to the Foundation for a Smoke-Free World, there are a number of clear conflicts of interest involved with a tobacco company funding a purported health foundation, particularly if it promotes sale of tobacco and other products found in that company’s brand portfolio. WHO will not partner with the Foundation. Governments should not partner with the Foundation and the public health community should follow this lead. The World Health Organization told governments on Thursday not to get involved in a foundation funded by tobacco firm Philip Morris International to look at ways of reducing the harm from smoking. The U.N. health body said there was a conflict of interest in a tobacco firm funding such research – drawing a sharp rebuke from the Foundation’s head who said his work was independent. 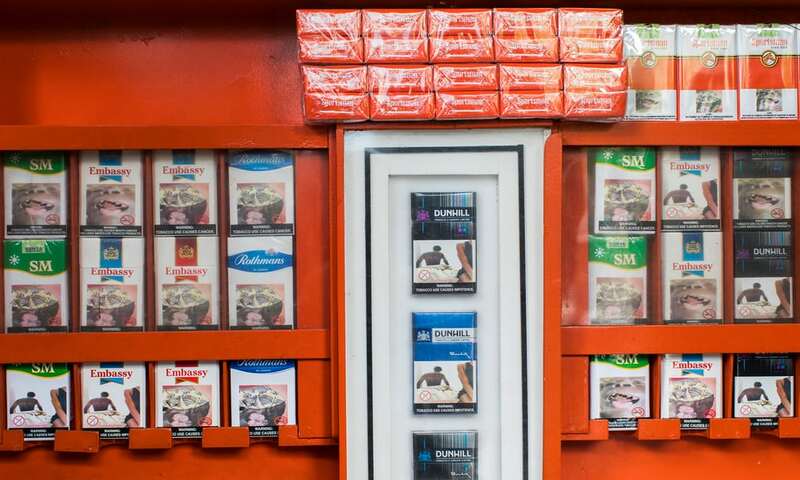 Philip Morris International said this month it wanted to help set up a body called the Foundation for a Smoke-Free World and planned to give it about $80 million a year for 12 years to keep it running. The company did not immediately respond to a request for a comment on the WHO’s statement. The U.N. body said on Thursday there were already proven techniques to tackle smoking – including tobacco taxes, graphic warning labels and advertising bans – which the tobacco industry had opposed in the past. “WHO will not partner with the Foundation. Governments should not partner with the Foundation and the public health community should follow this lead,” it said. The foundation’s founder and president-designate, Derek Yach, a former senior official at the WHO, said more collaboration, not less, was needed to win the war on smoking. He said the foundation was a non-profit organization with strict rules to insulate it from the influence of the tobacco industry, and its research agenda would be subject to peer review. Cigarette manufacturers are attempting to thwart government tobacco controls wherever possible, even as governments make progress regulating the products, a new World Health Organization report has found. World health officials also warn that tobacco companies have moved their fight to the developing world, such as Africa, where smoking rates are predicted to rise by double digits in the coming decades. Tobacco-related diseases are the leading preventable cause of death worldwide. The products kill more than 7 million people each year – more than HIV and Aids, tuberculosis and malaria combined. The effects of the substance are also costly. Researchers believe that tobacco-related harm costs the world $1.4tn in healthcare costs and lost productivity. A recent investigation by the Guardian found that tobacco companies, including British American Tobacco, threatened African countries with domestic and trade lawsuits if certain anti-smoking measures were put in place. BAT says it is not against all regulations but needs to take action from “time to time”. A Reuters investigation found that BAT’s arch-rival, Philip Morris International, developed a vast lobbying campaign to delay and prevent tobacco controls. PMI says there is nothing improper about its executives engaging with government officials. Wednesday’s WHO report, which was funded by Bloomberg Philanthropies, comes on the same day as a shareholder vote on a $49bn merger between BAT and Reynolds American Incorporated, a deal that would make BAT the largest listed tobacco company in the world. Currently, the World Health Organization recommends countries put in place six regulations health officials see as critical to reducing smoking: systems to monitor smoking rates; laws to protect people from secondhand smoke; tools to help people quit; warnings about the dangers of tobacco use; enforcement of advertising bans, and increased taxes on tobacco products. Six in 10 countries have implemented at least one of the six protections, officials said, four times the population that was protected in 2007. However, progress is lopsided. Some recommendations have been far more widely accepted than others. For example, 3.5 billion people in 78 countries are protected by graphic warnings on cigarette packs, but only 15% of the world’s population is protected by a comprehensive advertising ban, and high tobacco taxes, while very effective, are one of the least-implemented measures. Even some wealthier nations have had trouble getting tobacco control measures in effect. In the United States, for example, there are no graphic warnings on cigarette packs because of industry lawsuits and regulatory delay, and tobacco taxes remain low. Anti-tobacco lawmakers and campaigners in the US blame the slow progress on “pervasive” tobacco industry influence, which reaches all the way to top officials in the Trump White House. “Working together, countries can prevent millions of people from dying each year from preventable tobacco-related illness,” said Tedros Adhanom Ghebreyesus, the WHO director-general. “Governments around the world must waste no time”. Bloomberg Philanthropies funds Vital Strategies, which part funds the Guardian’s Tobacco: a deadly business series, the content of which is editorially independent. Global corporations work hard to persuade the public of their commitment to corporate social responsibility. British American Tobacco, for example, declares on its website that “as the world’s most international tobacco group, we are in a position to take the lead in defining and demonstrating what a socially responsible tobacco company should be”. It goes on to set out five core beliefs that underpin its “high standards of behaviour and integrity”. The evidence that the Guardian is publishing this week – at the start of a two-year project intended to show just how the global tobacco industry works – suggests that the distance between the words and the deeds of this huge and powerful company is about the size of the distance from the developed to the developing world. A generation of campaigners in western Europe and north America are familiar with the devious tactics that are now in play in Africa and Asia. The wickedly slow pace of change from 1949, when the link between smoking and cancer was first established, to the introduction of plain packaging in the UK nearly 70 years later, owes everything to the sustained campaign the industry fought against regulation that would limit the harm of smoking. It was fought in the public domain, in carefully placed reports that undermined medical research or questioned the impact of proposals like plain packaging. And it was fought privately, in privileged access to politicians, sometimes indirectly by other interested parties. The most notorious example was the Ecclestone affair in 1997, when a Labour pledge to ban tobacco advertising at all sports events was suddenly and inexplicably withdrawn. It soon emerged that the Formula One boss, Bernie Ecclestone, had donated £1m to Labour, and that there were hopes of more to come. In the course of those 70 years of delay, millions of people will have taken up smoking and a significant number will have suffered and died because of it. Now the tobacco companies are fast exporting the insidious tactics that worked for so long in the markets of the global north to new ones in the global south. More than half of BAT’s sales are now in emerging markets. 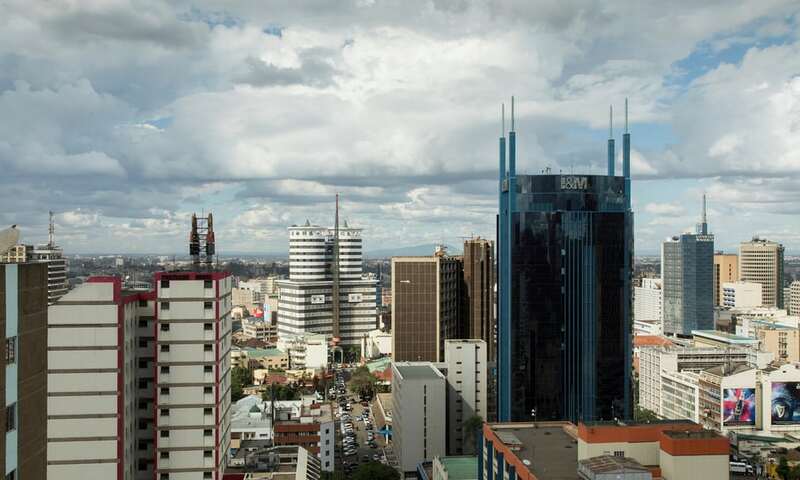 Take the increasingly prosperous East African country of Kenya: its government signed the World Health Organisation’s Framework Convention on Tobacco Control in 2004, before it was officially adopted. 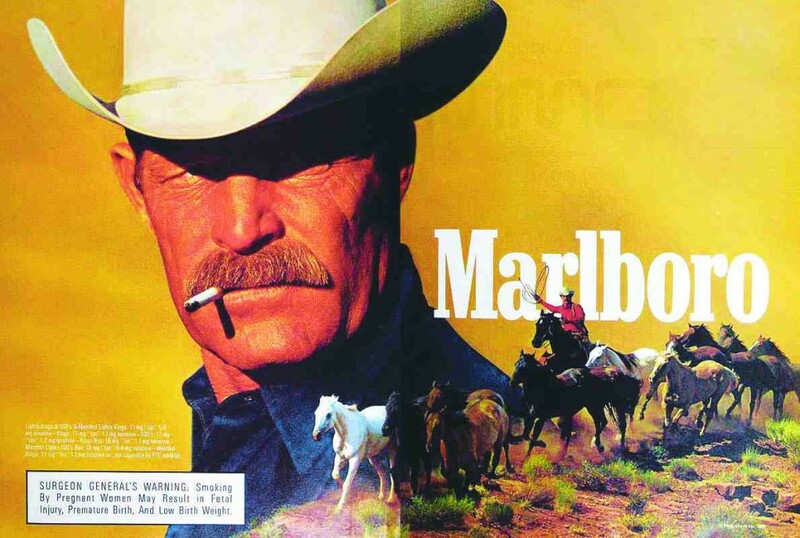 Yet nearly 15 years later, multinational tobacco firms are still fighting to delay the introduction of anti-smoking laws. As one recent study found, the slower the process of legislation, the greater the scope for tobacco company influence. The WHO reports how companies sponsor sporting events for children, for example, and hand out cigarettes in shopping centres regardless of people’s age. Already, proportionately more Kenyan children are smoking than adults. It’s not all about the companies. 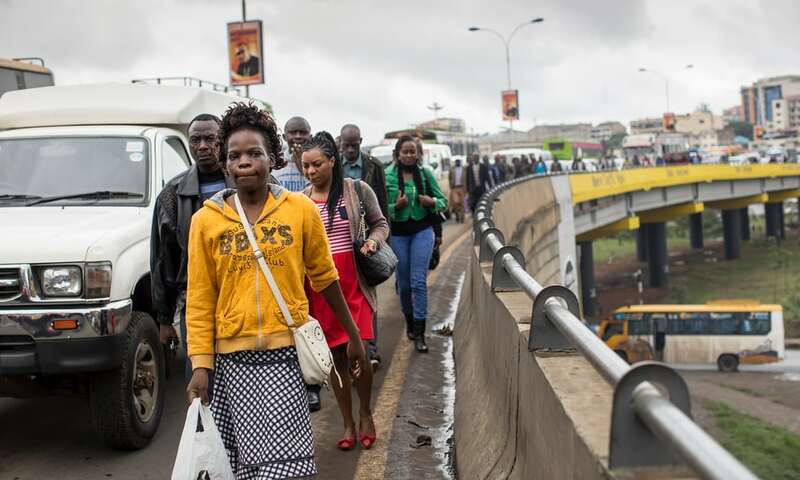 Part of the story is the low priority given to public health: in a country of 45 million people like Kenya, the anti-smoking budget is $45,000. But these are places where tobacco can do business. Tobacco taxes are vital revenue, so the tobacco companies claim that regulation will erode the tax base and provide new opportunities for the black market. And part of it is corruption, the purchase of influence. As Bath University’s Tobacco Tactics website details, big tobacco’s attempts to delay the introduction of laws to limit the harm of tobacco across Africa follow a familiar pattern: the companies influence politicians, they intimidate tobacco farmers, and they use unrestrained advertising to promote smoking. The companies insist they are only ensuring that legislation is proportionate. These are weasel words. Their tactics are well-funded, well-rehearsed and slick. They worked for years in the old markets. But if tactics can be exported, so can campaigns. BAT is about to become one of the FTSE 100’s top three companies. Reputation matters. Shareholders have leverage – and they should prepare to use it. 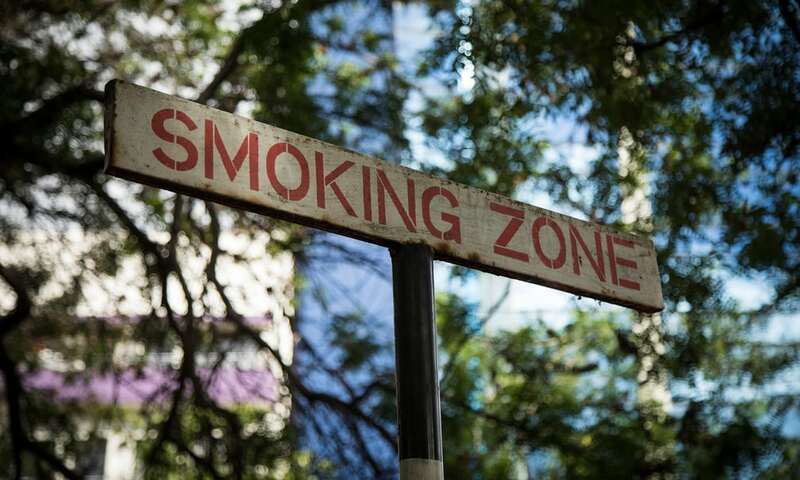 In east Africa, the tobacco industry, including British American Tobacco, has been putting pressure on local governments over some of the regulations attempting to curb smoking. BAT says it is not against all regulation, but from ‘time to time’ needs to challenge it. BAT Kenya is currently taking a legal case to the country’s supreme court over some regulations. 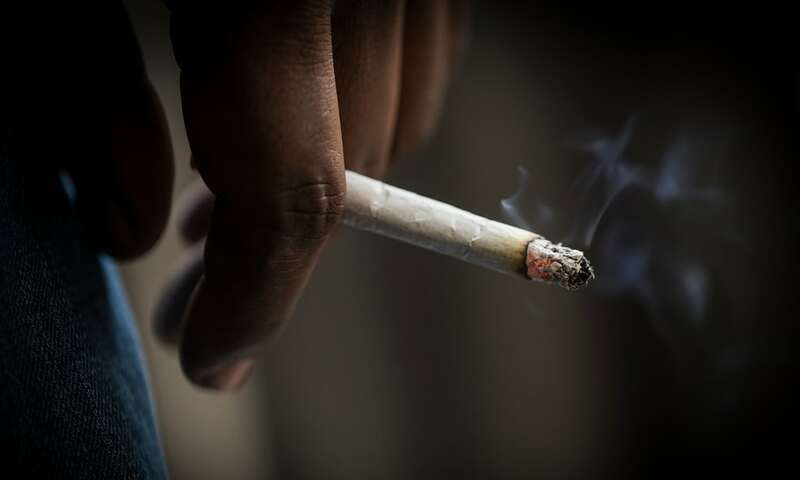 Every year, more than 6,000 Kenyans are killed by tobacco-linked diseases, part of what the WHO calls the ‘biggest public health threats the world has ever faced’. Campaigners say the industry is developing its African market and sees new potential customers as populations and prosperity grow there. 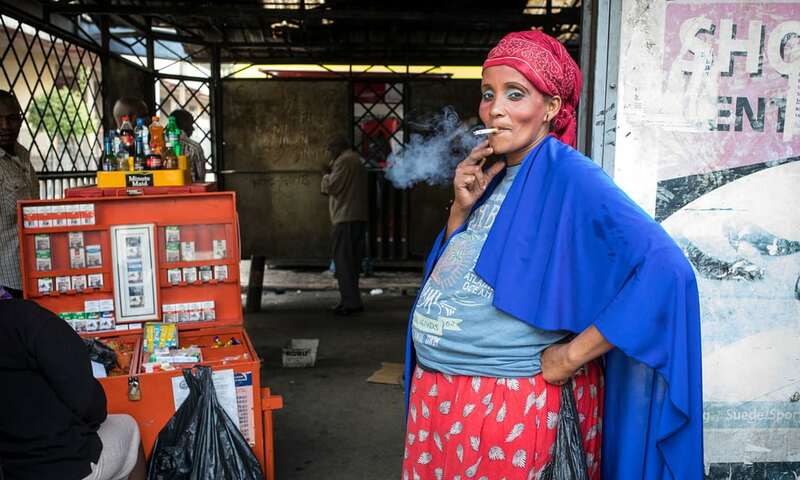 Smoking in public areas in highly restricted in Kenya. 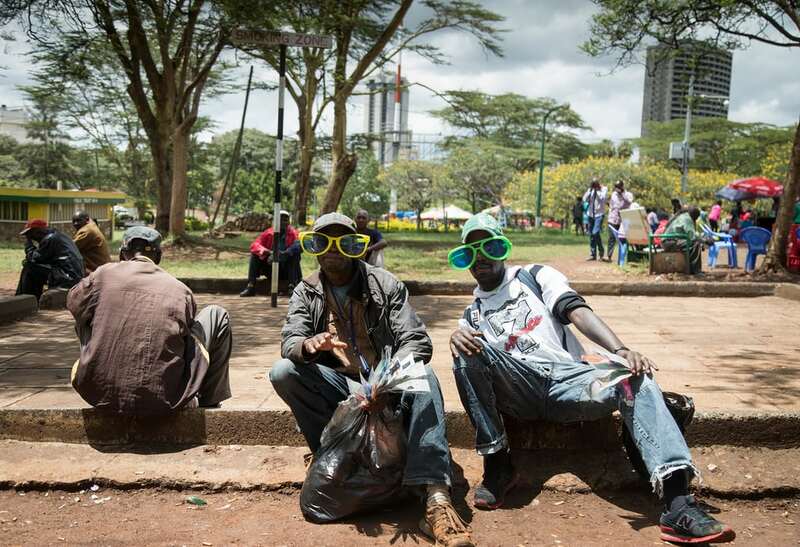 These two men sit back in one of central Nairobi’s smoking zones, as designated by the country’s ministry of health. 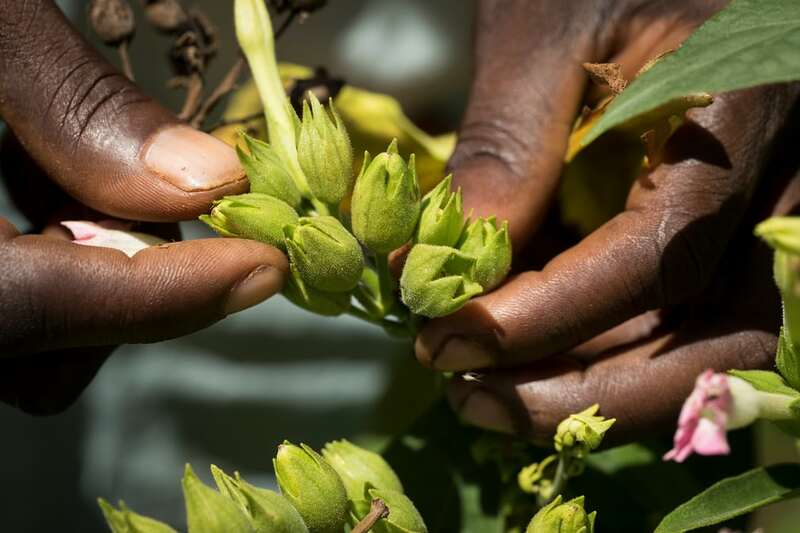 Meru, Kenya – Over the past 50 years, Africa has seen a significant increase in tobacco farming. Many farmers suffer from green tobacco sickness, which shares symptoms with nicotine addiction and withdrawal. It’s simply caused by being in consistent contact with the plant, as nicotine can be absorbed through the skin especially when wet. Tanzania, Kenya’s southern neighbor, earns $50 million per year from tobacco but spends $40 million for tobacco- related cancers alone. Approximately 176 million adult women worldwide are daily smokers and 37 women die every week in Kenya due to tobacco related complications. A vendor sells single sticks in central Nairobi’s Uhuru Park. Most Kenyan smokers prefer this to buying whole packs, given the cost.Manufacturers are not allowed to produce cigarettes in packs of less than 10, and they say they want customers to purchase full packs, and that they work with vendors to encourage them to sell them this way.The World Health Organization estimates that people in low-income countries can spend as much as 10% of household income on tobacco products.Uhuru Park is also a key spot for Nairobi’s bourgeoning skate scene. Excises taxes are still the most effective controls against tobacco. In Kenya, they make up 35% of retail price, similar to the US’s 38%. 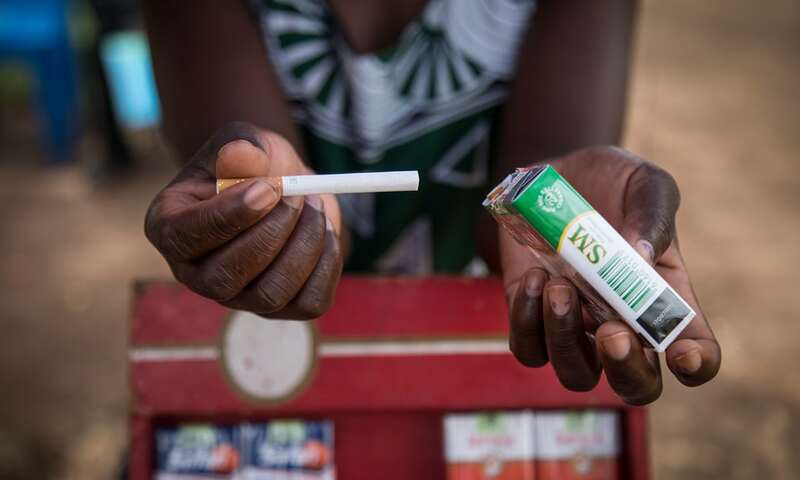 One of the elements of government plans that BAT Kenya is fighting in the court is a new tobacco industry tax.Clear adverts may be outlawed, but still, Kenyans know what is being sold. These red boxes are instantly recognizable. 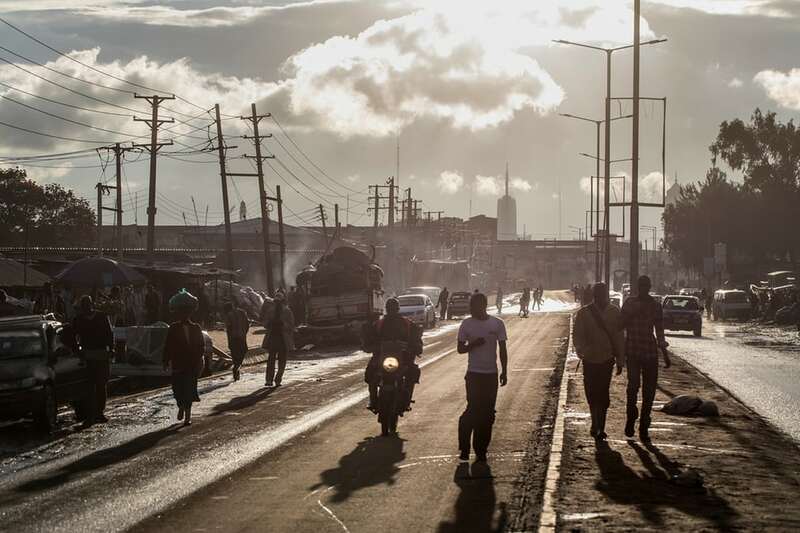 The afternoon sets on Enterprise Road in Nairobi’s industrial zone.